Casey Veggies and Rockie Fresh "Aladdin"
The release of Fresh Veggies, the tag-team mixtape from Rockie Fresh and Casey Veggies, is due to drop this Monday (December 16), but the rap pals are serving up yet another helping of pre-release goodness with a stream of its "Aladdin." This time around we get the pair rapping gleefully atop a twisty guitar loop and a deep and decayed bass boom about social climbers, setting themselves apart from other MCs, collecting a crew of freaks for their mattresses and floating through the streets like the world's favourite street rat, Aladdin. You can check the pants-saggin' single, produced by Uncle Dave, down below courtesy of The Fader. Fresh Veggies will feature beats from Lunice, Jahlil Beats, Hit-Boy and more, while also sporting guests verses from Kirko Bangz, Overdoz and Ty Dolla $ign. 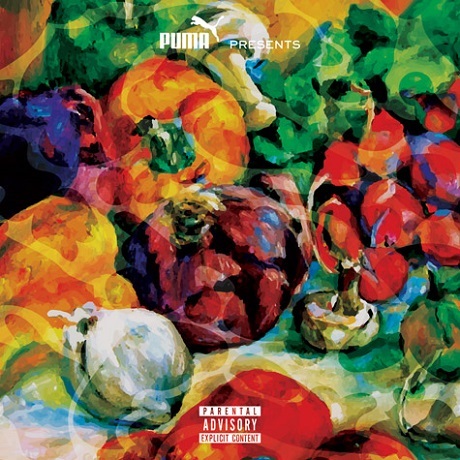 Casey Veggies and Rockie Fresh "Sacrifice"
Casey Veggies and Rockie Fresh "Energy"